The 50mm f/1.8 S is the second in Nikon's prime lens offerings for the Z system. Surprisingly, it's pretty much the same size as the 35mm f/1.8 S (in this case 3.4" x 3", or 86.5 x 76mm). Like the 35mm, the 50mm uses the same plastic skin covering the metal/glass internals. That look is very basic, and for some reason seems to be off-putting to some. I suppose Nikon could have gone to a stylist and gotten some highlights blown in, but I don't spend a lot of time looking at lenses. I like practicality, and this design is robust and allows for a lot of weather seal gaskets. The one size barrel also means that it is simple to refit my bags to hold the lens, too. The 50mm is a little heavier than the 35mm at 14.7 ounces (415g). In practice, I don't notice the difference. The extra weight probably comes from the optical design. We've got 12 elements in 9 groups, with 2 aspherical and 2 ED elements. Nano coating is used internally to control reflections and flare. One thing that's noteworthy about the 50mm optical design is that it's very different than we're used to for a 50mm. It very well may be the first lens we got that truly starts to take advantage of the Z mount flexibility. The front element is slightly concave! The rear elements are very large. Nikon appears to be using a very different optical approach on this lens. We'll see what that actually means when we get to the results later in the review, but suffice it to say this is the first time I've seen Nikon use some very non-traditional optical design for a traditional optic. A nine blade circular aperture diaphragm sits inside, with apertures available from f/1.8 to f/16. Minimum focus distance is about 16" (0.4m), and the maximum reproduction ratio is a non-impressive 1:6.7. Probably the only thing I wanted a bit more of from this lens was a bit more focus range. Even 1:5 would have been preferable. Focus is done internally using middle elements, and using a stepping motor, much like the AF-P lenses. Up front we have 62mm filter threads and a supplied HB-90 lens hood (B=bayonet). The hood is relatively deep with a bit of petal to it. The lens is made in China and lists for US$600. You get a flimsy one-size-fits-all pouch with the lens, ala what Fujifilm has been doing. This section is going to look just like the 35mm review. Sharpness: Let's just say up front that this is the best 50mm Nikon has made. The question then becomes "just how good is it?" Really good. Central sharpness is as good as I've seen in the 50mm realm wide open. That sharpness declines a tiny bit as you get out to the DX crop boundary, then clearly declines into the corners. Still, in the corners this is the best 50mm result I've seen at f/1.8 recently (I haven't tested the Zeiss Otus 55mm). The new Nikkor is clearly better than the Sigma 50mm f/1.4 Art I tested at f/1.8, center, DX boundary, and FX corner. Even stopping down to f/2 brings some acuity back into the corner, but you really need to get to f/4 to get everything this lens can deliver (which is a lot). f/5.6 is technically the best aperture across all measurements, but f/4 was awful close and where most people will think the lens operates best. And yes, those old F-mount Nikkors aren't even in the same league as this S lens, regardless of which one you choose (f/1.4, f/1.8, D, G, etc.). Certainly not wide open, but not stopped down, either. Like the other Z lenses I've tested, there doesn't seem to be a near/far bias in the lens design. What I write is true pretty much at the close focus distance as well as at infinity. This is far different than we're used to with the F-mount lenses. Linear distortion: The lens has a wee bit of barrel distortion to it, a bit surprising at this focal length. This seems to be very simple curving, with no complications, thus is easily corrected (the in-camera corrections render it virtually to zero). The base distortion is not strong enough that most people would attempt to correct it, though. Chromatic Aberration: Clear longitudinal CA out through about f/3.5, after which point the lens seems pretty tight on color for a fast lens. Latitudinal CA is minimal. Vignetting: Surprisingly good. Clear corner drop-off (about a max of 1.5 stops), but a fairly wide central area mostly free from darkening. The fall-off into the corners is also feathered well. At somewhere just above f/2.8 I'd say the vignetting becomes mostly ignorable, and that's absolutely true if you've turned on Vignette Control in the camera (which is picked up by the Adobe converters). Flare: Of the three Z lenses so far, the 50mm has the most flare and ghosting of the bunch, though I wouldn't call it bad at all. I see more element reflection in the 50mm when flare is produced than in the 35mm, and it's multi-colored. Still, very decently controlled for a fast lens. Bokeh: clear onion-skinning plus elliptical distortion at the corner, though the blurred highlight circles don't have a really strong bright edge as does the 35mm; I was surprised that the longitudinal CA didn't seem to impact the bokeh blur edges much. Like most recent Nikkors, the 50mm f/1.8 S has a very nice flow from focus plane to out-of-focus, too. Overall, most people are going to like the bokeh of this lens because it doesn't really have a flaw that jumps out at you. I have no idea what the dpreview videographers were talking about ;~). Maybe they should turn VR off. There's no mistaking this 50mm Z lens: it's the best 50mm Nikon has ever produced (obviously, we have to compare apples to apples and do the comparison at f/1.8 or f/2; if you need f/1.2 or f/1.4, then obviously this isn't the lens for you). You don't gain anything in size. If you put the 50mm f/1.8G on the FTZ adapter, you're pretty close to the size of the 50mm f/1.8 S. What you do gain is much faster focusing, more precise focusing, and clearly better optics. Is that worth US$600? It is if you need and use this focal length, in my opinion. Considering how good it is, I'd also consider it a bargain at this price. Unfortunately, most people are used to buying inexpensive 50mm optics, so they see the US$600 price as high. They're wrong. You clearly get what you pay for here, and more than you'll expect. About my only drawbacks are (1) Nikon simply hasn't perfected fly-by-wire manual focusing; and (2) the 1:6.7 maximum magnification ratio (16" close focus) is less than I'd like at this focal length (I'd really like to see 1:4, or at least 1:5). The bokeh could be better, but it isn’t bad. So far, Nikon's optical engineers have been pulling little gems out of their hats in the Z system. The basic specs at first don't look drool worthy on these Z lenses (e.g. f/1.8 or f/4), but then you start looking at images. 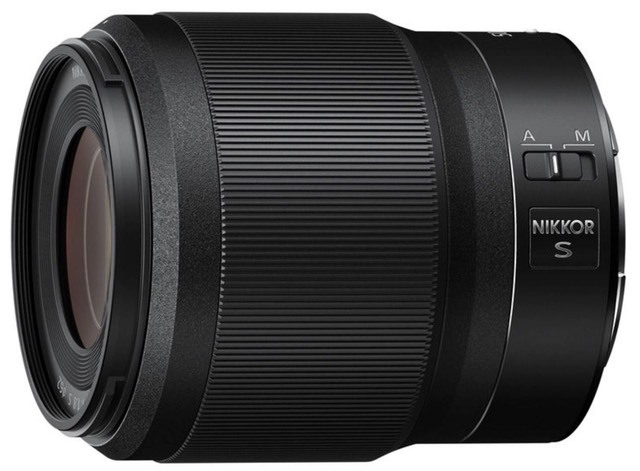 Crisp and clear imaging, nice focus and out-of-focus rendering, excellent behavior far from the central axis, plus less astigmatism and coma all combine together to provide pretty much everything you're going to want when you're backing that lens with a high resolution 45mp sensor. At this point, I'm looking forward to the 20mm and 85mm f/1.8 Z lenses Nikon says they'll produce. If those lenses live up to the standards the 35mm and 50mm set, that's going to be quite an f/1.8 prime set (also joined by a 24mm, too). Indeed, the 24-70mm f/4 is right up there in optical performance, too (and you have to imagine the 24-70mm f/2.8 will be even better). 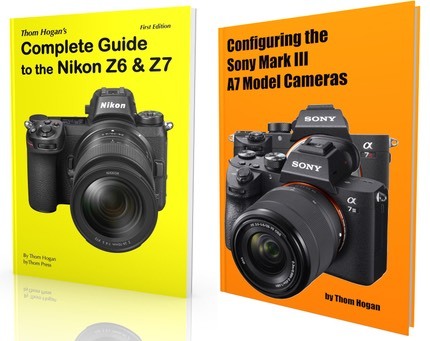 So I can imagine some folk buying a 20mm, 24-70mm, and 85mm as their primary lens set if Nikon continues to make great Z lenses. Whether you add this 50mm f/1.8 to the mix will depend upon how much you value a fast “normal” lens.